Climate and weather greatly impact a farmer’s day-to-day operations as well as their livelihood. To gain perspective on farmers’ production practices and how they are changing, Michigan State University Extension educators and specialist invited farmers from across Michigan to participate in one of three discussions on sustainable corn production held at locations in the north central, central and south central part of the state during mid-March. Climate and nitrogen were two of the topics discussed. Concerns over heavy spring rains prompts Michigan corn growers to split N-applications throughout growing season. The fall season is a common time for application of fertilizer and manure. Here are a few tips to consider as you plan those applications. Use current soil sample test results to guide need for phosphorus and potassium applications. Monitor soil pH and consider lime applications in the fall to give time for soil pH correction before next years’ crop. 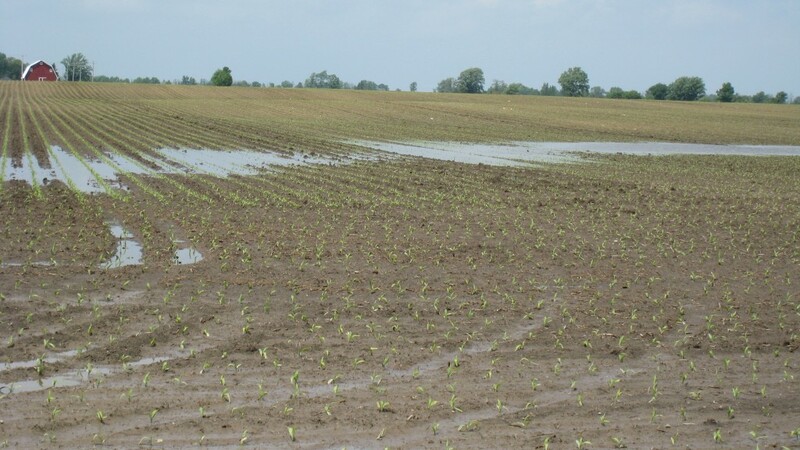 Avoid surface phosphorus applications immediately before heavy rainfall events. Incorporate phosphorus fertilizer and manure to lessen surface runoff. However, avoid tillage if erosion is a concern, especially in low residue situations. Or, subsurface band fertilizers if using tillage systems such as strip till. Inject manure to avoid nitrogen volatilization losses, reduce odors, and place phosphorus away from the soil surface. Wait until soil temperatures are below 50○F and trending colder before making fall anhydrous ammonia applications. If possible, wait for cold soil temperatures (see above) before applying manure that has high ammonium-N content, like liquid swine manure. While fall is a nice time to make fertilizer applications, spring or sidedress is preferable for applying nitrogen.